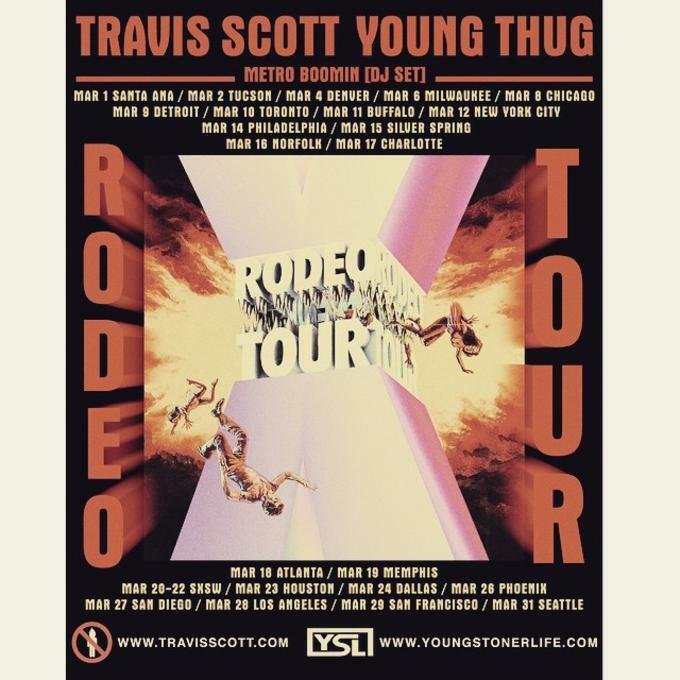 After releasing his critically-acclaimed project, Days Before Rodeo, last year, Travi$ Scott is already gearing up for a big campaign in 2015, as he announces his Rodeo tour with Young Thug and Metro Boomin. The tour will run through the entire month of March and make stops across North America in Denver, Milwaukee, Chicago, Detroit, Toronto, Buffalo, New York City, Atlanta, Houston, and more. Additionally, the tour will touch down in Austin, Texas on March 20-22 for the SXSW festival. 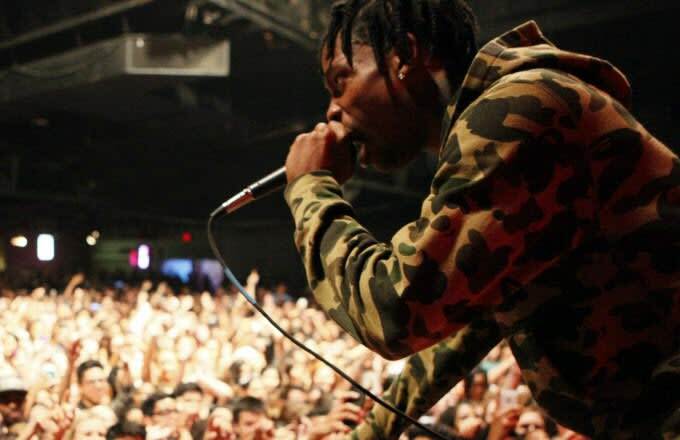 Tickets for the the tour go on sale on Friday on Travis&apos; website, with a special pre-order available tomorrow. UPDATE: Travis released two new songs to go along with the tour - "High Fashion" featuring Future and "Nothing But Net" with Thug and PARTYNEXTDOOR - both of which can be streamed below.